Considered as one of the most sensitive and creative writers of his times, Rabindranath Tagore elevated the genre of short stories to an art-form. Most of his stories revolve around the life in rural and urban Bengal, beautifully portraying intricate aspects of the nature of society and the people in it. Tagore’s style merged stark realism with poetic idealism. One can find this reflecting in over a hundred short stories written by him. Known as a prolific writer from Bengal, his poems became famous and appreciated across the globe as they carried a message of India’s spiritual heritage. Rabindranath Tagore became the first Indian to be awarded a Nobel laureate when he won the Nobel Prize for his collection of poems, Gitanjali, in 1913. In spite of their inherent simplicity, Tagore’s stories lead to profound insights of the human mind. They have a capacity to touch your core and leave you thinking deeply about human values. 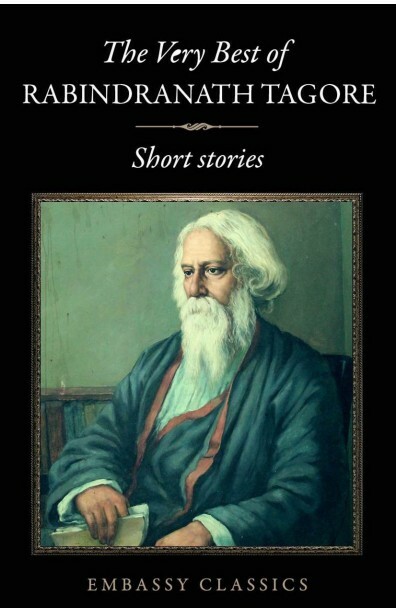 Tagore, during his time and even today continues to remain a ‘literary institution’ that every Indian would love to read. Embassy Books proudly presents this book as part of the Embassy Classics Series, which comprises of some of the best literary works of great authors.